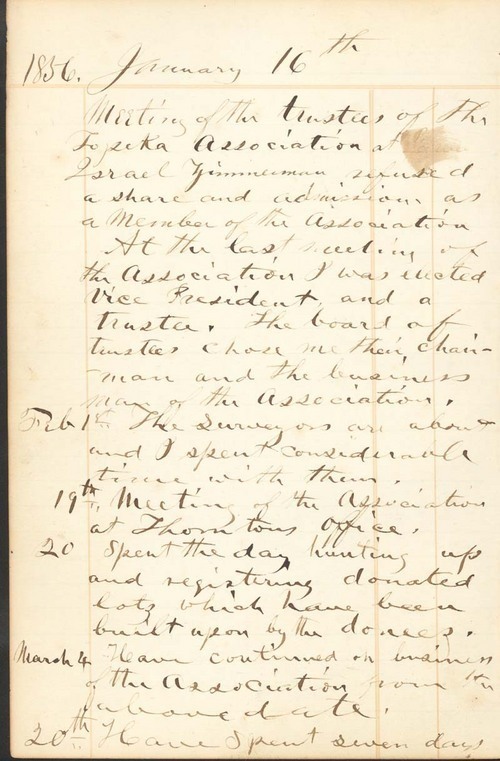 This journal, compiled by Franklin Loomis Crane, chairman and member of the Topeka Association, described the activities of the Topeka Association during 1856 and 1857. Some entries consisted of the minutes from town association meetings, while others identified those settlers who applied for town lots. Crane also wrote of his daily work for the association, including comments about the weather.